Onlinemdstore.com is an online pharmacy designed to meet all your medication needs. Even though the store stocks and sells all kinds of medication, from antibiotics to nootropics, the best-selling drugs on the online pharmacy are erectile dysfunction drugs. All drugs sold by the store are FDA approved. Also, the online pharmacy only sells drugs from reputable manufacturers. The store also has a Cipla guarantee. Cipla is a multinational multi-accredited drug manufacturer in India. Despite all these, the store does not list its location or when it started its operations. 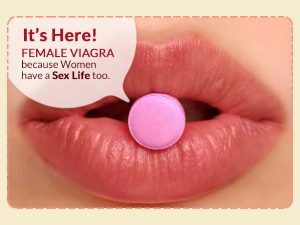 When it comes to price, generic drugs with Sildenafil Citrate as the active ingredient, sell for $1.80 per pill. However, there is the restriction of buying a minimum of 30 pills. In the case of generic Cialis, which has the active ingredient Tadalafil, the price is $2.12 with a minimum purchase of 30 pills. These prices are low, making the drugs affordable to those looking for cheaper alternatives to the overpriced brand ED medications. However, the minimum order costs around $75. Shipping is done by Onlinemdstore.com at a fee of either $10 or $25. The price is dependent on the courier chosen by the buyer. The cheaper option, registered mail, costs $10 and takes up to 21 days. Express mail service is the costlier option but takes only 14 days for the package to arrive. Onlinemdstore.com offers a wide range of payment options, including E-checks, Western Union, MoneyGram, credit cards, Bitcoin, wire transfers and Webmoney. The store claims to have a money-back guarantee. This means that those who do not get the items they ordered will get a full refund. For those looking to contact the online pharmacy, the only available mode of contact is email. There is no listed phone number listed on the site. Also, the site has no chat function. 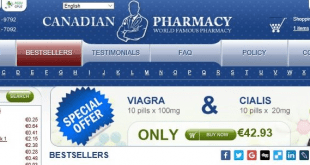 When looking for the best online pharmacy, it is always a good idea to look for online reviews. Onlinemdstore.com has a few reviews by buyers on their site. The buyers from the site gave the site a rating of 4 or 5 out of 5. This is expected since the reviews are posted on the pharmacy’s site. Johnny, a supposed buyer on the site, stated that it was his first time buying medication from the site and he enjoyed the overall experience. He was very satisfied with the services offered that he gave the site a rating of 5 out of 5. Another customer by the name Mike said that his products arrived safely and were just as advertised. He gave the store a rating of 4 out of 5. However, despite being positive, these reviews might not be true at all. No seller would allow negative reviews to be posted on their site. 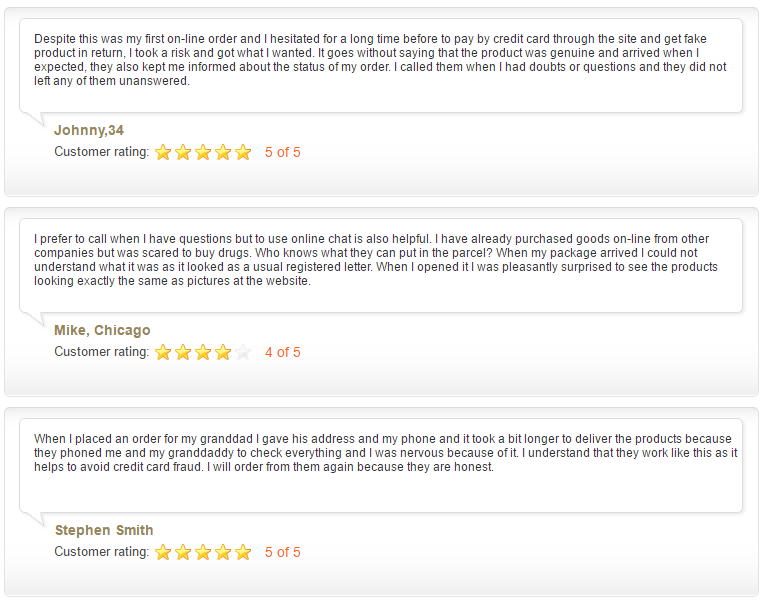 Reviews on seller sites are designed to encourage customers to buy. This is why it is important to look for reviews on independent sites that are beyond the control of the seller. A search on the internet could not yield any results on Onlinemdstore.com. An analysis of the site on Scamadviser.com showed that the site is 93% safe, although the detected location was a high-risk country. The analysis also shows that the store has been operational for 3 years. There have been no reports of malware activity on the site. This may mean that the site is legitimate and safe. However, there is no guarantee on this. No coupon codes or discounts were offered to buyers on Onlinemdstore.com. Also, there were no offers such as free pills or free shipping. Like most other online pharmacies, Onlinemdstore.com sells a wide range of drugs, the most common being ED medication. However, the site has no external reviews or contact information. Even though the site scores highly on Scamadviser.com, this is no guarantee of the safety of the site. It does not mean that the site is trustworthy enough to handle your order. It is always a good thing when an online pharmacy has reviews on independent sites and forums. However, since none are available, the store deserves a rating of 2 out of 5, and I would not recommend it to those looking for ED medication. Look for online stores with a good and proven online reputation.